Thank you so much for these videos, James! I want to especially thank you for teaching me how to fast and not be worthless in the process (weak and just want to sleep a lot). I just ordered potassium and pink salt and I did purchase your Lean Belly Breakthrough, still not certain what the 2-minute process is yet. When I found you on Twitter, I was at 225 and through your Twitter post inspiration/direction, and a 2 week fast, now down to 210. My goal is 185 to 190 by years end…my wife doesn’t want to get too skinny. Appreciate you and following daily. Hi Bill I’m glad it helped you! Keep going with the fasting and fat loss!! 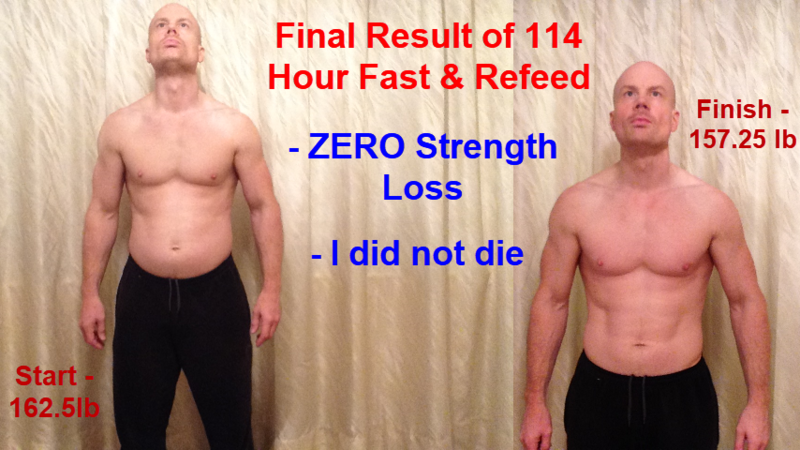 The Lean Belly product is not mine…it’s an affiliate product.. I hope you got value from it.